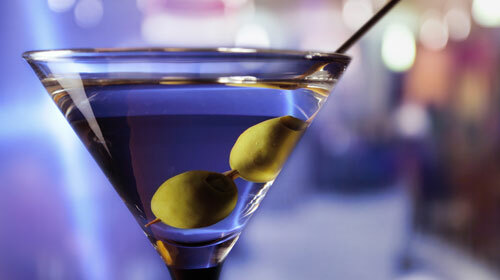 Online Assessment Tools to Optimise Corporate Certification Programmes – A Martini Approach? Exam Delivery Tools to Optimise Corporate Certification Programmes – A "martini" Approach? In a highly competitive world and an increasingly litigious society, many corporations are introducing formal certification programmes for their employees and partners. This not only sets the standard that has to be achieved, but it also helps to ensure that employees operate in a compliant manner, in line with company rules and external regulations. Traditionally this kind of certification was limited to regulated industries such as pharmaceutical or financial services, or to mandatory subject matters such as health and safety or data privacy. Now many corporations are realising that on-going certification is very important to ensure employees and partners across all business units are fully engaged, have adequate levels of knowledge and know how to do their job properly. The most prevalent way to roll out corporate certification is to have one or more formal tests that everyone must take at various intervals. Often there will be different variants of each test depending on the business unit or region and typically there are implications for the test-taker if they fail, which can range from immediate suspension or a career being put on hold until they pass, through to a programme of further training and coaching. There are often rules around re-sits in the event of failure, and in the worst cases individuals have to wait until the following year before they can re-take the test. It can increase levels of employee and partner engagement. It is a way of bench-marking staff – you can see how regions compare and identify potential weaknesses. It is a definitive way of measuring knowledge levels. It can improve levels of quality if everyone is properly trained and certified. It can ensure compliance with regulations. Unless the integrity of the test is maintained and there is a level playing field for every test-taker, corporations can leave themselves open to legal challenges from candidates who fail. The key issue is maintaining the integrity of the test, so that you can be absolutely sure that the correct person took the test and that they did not cheat. The traditional "exam-hall" approach, where everyone has to come to a specific location at a specific time and be watched over by a supervisor, is extremely difficult to coordinate and comes at a high price-point. New exam delivery tools provide a different way. Remote invigilation (also known as remote proctoring) is an exam delivery method whereby supervisors authenticate the test-takers and invigilate the full exam over the Web, thus maintaining the integrity of the test. Employees and partners can be in any location worldwide, there is no travel involved and everyone goes through a similar secure process to take their exam. A big benefit of remote invigilation is that the administration overhead is greatly reduced, plus corporations have the flexibility to move away from a "big-bang" approach to certification, where huge numbers of tests are run at certain times of the year. Instead, using online assessment with remote invigilation, question banks can be set up with "randomised" selection logic, that enables certification exams to be run on a continuous basis throughout the year. Look for a supplier who has a range of different question types including voice recording, video, spreadsheets and drawing, which allows organisations to deliver much more engaging and immersive tests. More immersive tests really assess the individual’s ability to apply knowledge as opposed to just taking a dip stick of their knowledge levels at a particular point in time. The added advantage of a good online system is that you can track certifications for each individual and automatically manage the re-certification process. That the remote invigilation is provided by professionally trained invigilators who provide a supportive and informative service to candidates. That the remote invigilation application is advanced enough that it can be used even behind corporate firewalls, and doesn’t contain any deprecated technologies that can cause difficulties in this area. That the interfaces for the candidate are instinctive and easy-to-use when working through the questions and submitting their exam. That the company providing the remote invigilation are fully compliant with GDPR regulations for processing of candidate data. That the provider has high levels of security regarding access to examination data and storage of results. Ideally that the remote invigilation is provided by the same company running the assessment, rather than an assessment supplier who is providing an application to create and mark exams, but is out-sourcing the invigilation to a separate provider. There is no doubt that in the future the whole are of remote invigilation is going to transform corporate certification programmes. With this exam delivery tool, companies will be able to ensure that employees really do know what they need to know, which will have a huge impact in highly regulated industries like financial services and pharmaceuticals. Online assessment with remote invigilation is a game changer when it comes to corporate certification and removes the current assessment limitations. Now both corporates and employees can follow the "martini" approach, where formal assessments can be rolled out any time, any place, anywhere! If you’d like to learn more about remote invigilation, download our Guide to Remote Invigilation here. If you’d like to know more about how TestReach helps with corporate certification, download our Datasheet for Corporations here.